The Linksys Smart Wi-Fi Routers (E4200 v2, EA3500, EA4500 and EA6500) have Universal Serial Bus 2.0 (USB 2.0) ports at the back of the device. With this port, you can connect a USB printer directly on the router, to enable all your computers at home to access and send print jobs efficiently. Ensure that you have configured your Linksys Smart Wi-Fi Router and have created and activated a Linksys Smart Wi-Fi Account. For a detailed instruction on how to set up your router and account, click here. Ensure that you have configured a USB printer to connect directly on your Linksys Smart Wi-Fi Router using the VUSB software. To know more about this, click here. NOTE: The VUSB is only compatible for computers with Windows XP, Windows Vista or Windows 7 operating system. Make sure that your devices are turned ON, and the printer is connected to the USB port of your Linksys Smart Wi-Fi Router. 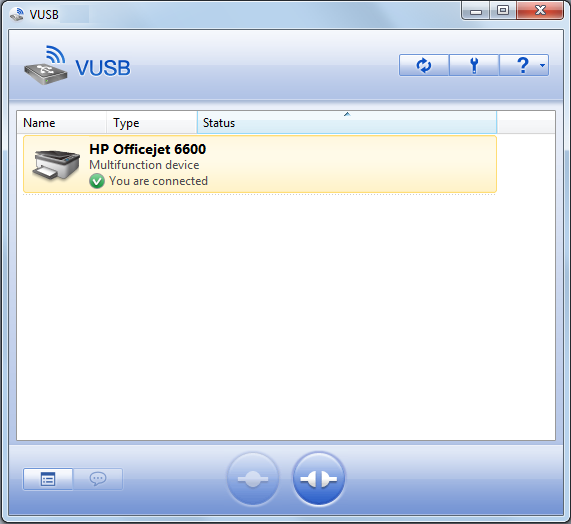 Open the VUSB software to enable sharing of your printer. Click the Start button. 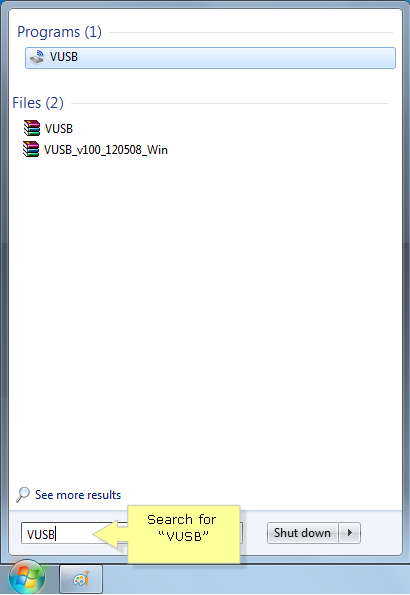 Locate VUSB and click the program to open. 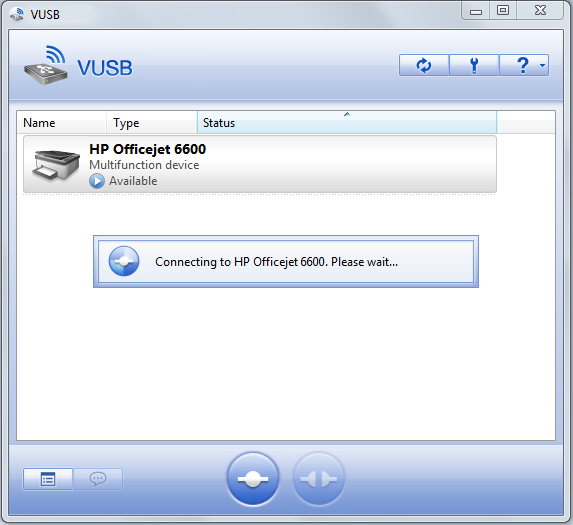 Once the program opens, allow the VUSB to configure for a while. It should automatically try to connect to the attached printer. 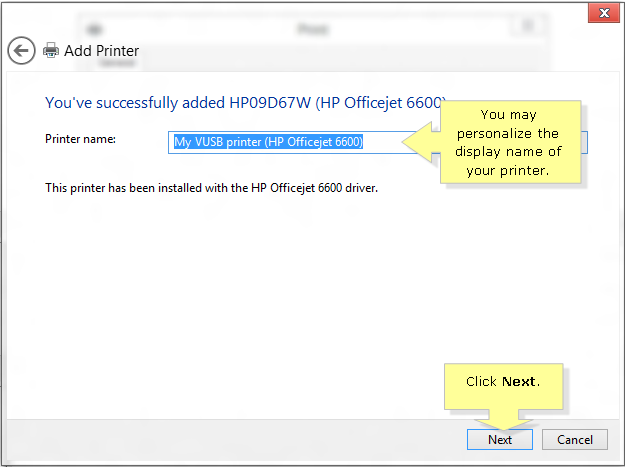 NOTE: In the example below, HP® Officejet 6600 e-All-in-One Printer is used as an example. 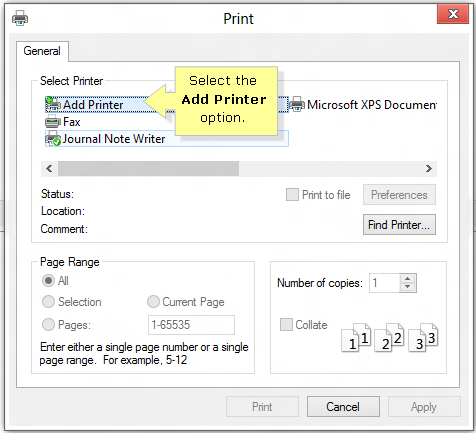 QUICK TIP: You may also manually click the Connect button for the software to communicate with the printer. Once the You are connected message displays, your router is ready for printing. Connect your wireless computer to the network where your printer is plugged in. To know how to connect wireless computers to your network, click here. NOTE: Connect your device to the main network instead of the Guest network. You can usually tell them apart as the latter has a “–guest” suffix. The Guest network does not permit file or printer sharing as it provides a separate wireless network for Internet access only. On the computer that you have connected to the network, open a file or document. 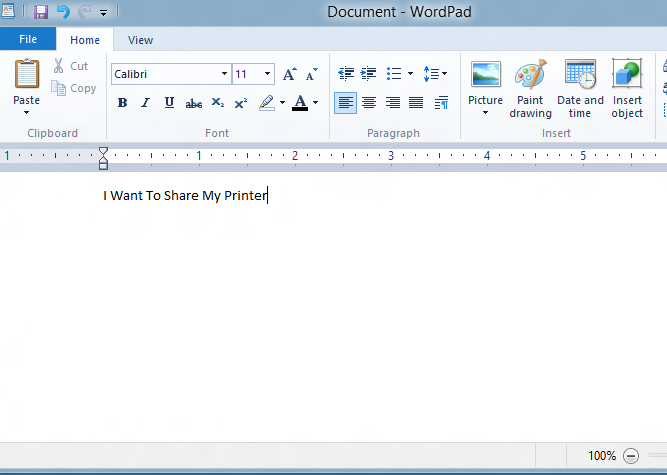 In the example below, a document for Microsoft WordPad was used. 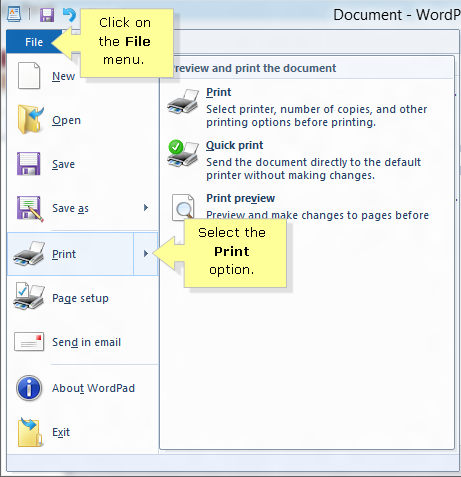 To print this word document, click the File tab on the upper left corner of the screen and select Print from the drop down options. 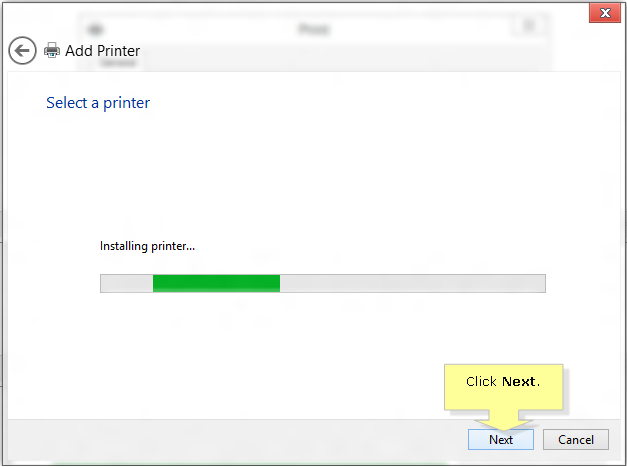 Once the Print properties window opens, click Add Printer. Wait until the printer is detected. 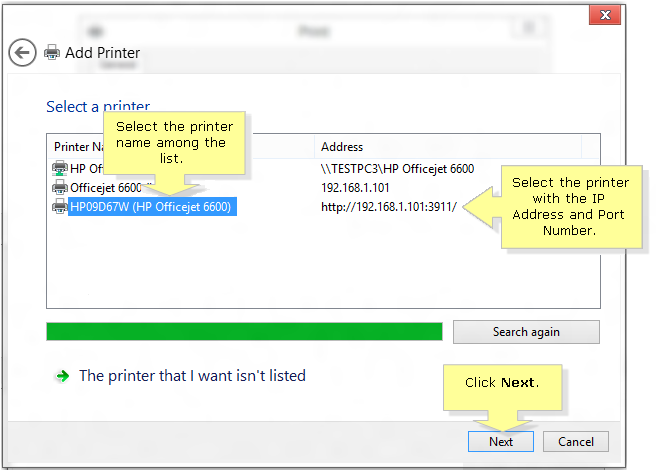 Once the printer is displayed, select the printer with the IP Address and Port number then click Next. NOTE: In this example , the IP Address of the printer is http://192.168.1.101 and the Port Number is 3911. Wait until the installation of the printer is completed. You may enter a personalized Printer name on the field provided. Once done, click Next. 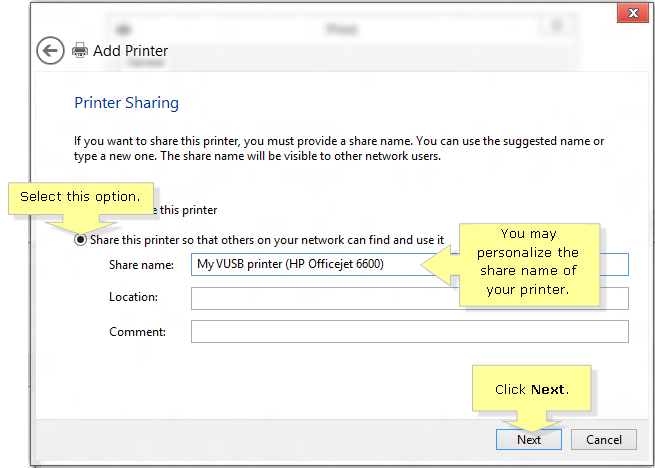 Select the Share this printer so that others on your network can find and use it option, then click Next. NOTE: You may also change the share name of your printer on the field provided. You now have added your printer to the printer list options. Click Finish to re-open the Print properties window and print your current document. 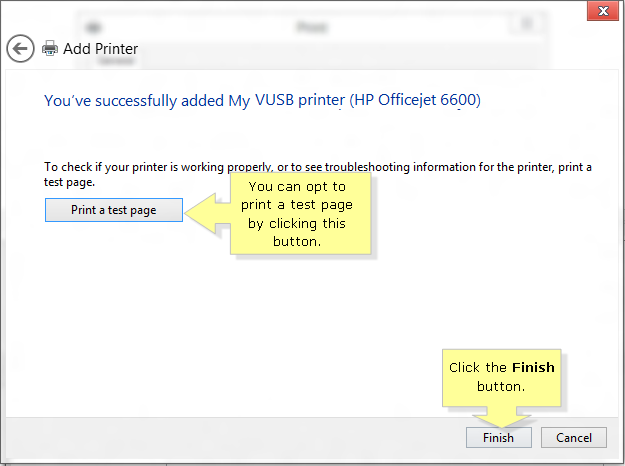 NOTE: You may print a sample page to test your printer connection by clicking the Print a test page button.